Keeping the exterior of your beloved vehicle beautifully polished and free of dents is a top priority, but shouldn’t the interior be just as important? After all, it’s what you end up spending most of your time in, right? Sometimes the condition of upholstery can become overlooked. If your vehicle’s or boat’s interior looks like it has seen better days, then it’s time to look into upholstery repair. Hutchinson residents have trusted the SeatFixerMN for years for all of their interior repair and restoration needs. A car or boat goes through a lot on a regular basis. So tears, stains and other damage to your vehicle’s interior is just a fact of life. The SeatFixerMN can fix a multitude of issues you may be having with the interior of your car, truck or boat. Is your leather cracked? Is the fabric torn? Call The SeatFixerMN! Give The SeatFixerMN a call to set up an appointment or get a free estimate on your much needed upholstery repair or restoration. Even if you don’t see the upholstery repair you are in need of on this list, call the SeatFixerMN and find out if he can help. Chances are he can fix it, making your vehicle’s interior to look good as new! 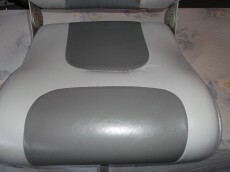 Just take a look at the gallery and get an idea of the excellent upholstery repair you can expect from the SeatFixerMN. Are you interested in learning more about how to get upholstery repair in Hutchinson and the surrounding areas? Call The SeatFixerMN at 612-590-7870 or contact us to get a Free Estimate.